Horray! 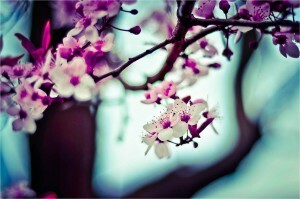 I’ts springtime. Now that days are longer and temperatures are finally warming up, you may be inspired to start clearing your home of stagnant winter energy. At this time of year, the home’s entryway is clogged with seasonal clothing & footwear, junk-mail, kids’ backpacks, schoolwork, umbrellas and more. By first clearing this area, you’ll see quick progress and be encouraged to clear clutter in the rest of the home. The easiest way to deal with overwhelm is to break things down into manageable steps. Here’s a quick way to clear space, prepare for spring & easily access clean winter clothing when needed next Fall. 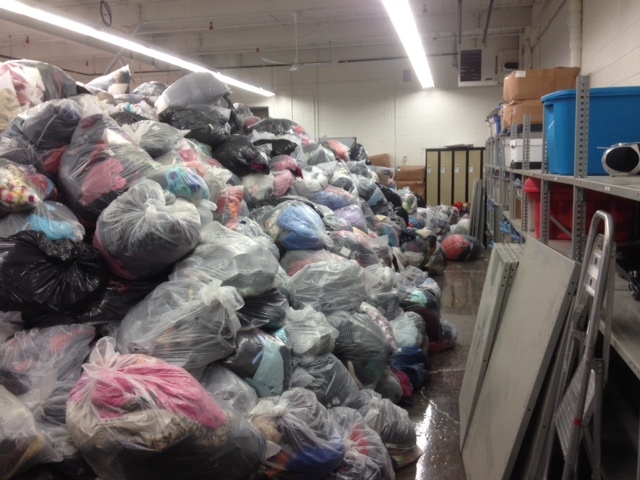 Clothing: sort items into designated plastic bags: dryclean, launder/handwash, maintain/fix, donate, recycle. Follow through with appropriate action. Afterward, hang or bin cleaned items in basement/guestroom/entry closet as space allows. For kids’ coats, place them into labelled bins, stack & put away. Footwear: Put footwear to be cleaned into a large plastic bin. After dirt and salt stains are removed (use a solution of 1:1 vinegar:water, dab stains with cotton pad) examine each pair, note its condition (worn-out/outgrown/not waterproof) and decide on next action: keep/donate/discard. Separate winter footwear into bins for each family member and store. Switch out seasonal footwear. 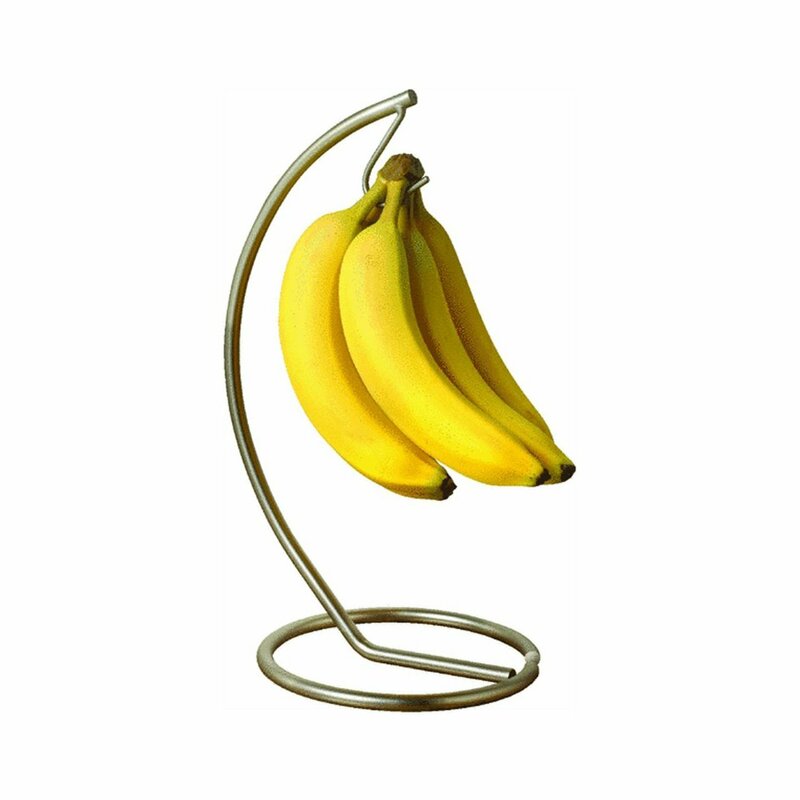 Accessories: most entryway clutter consists of items that don’t have a ‘home’, so they end up on the floor. If your entryway doesn’t have a working system in place, consider wall hooks for kids’ coats and bags, labelled bins for scarves, hats & mitts, umbrellas. Things should stay tidier next winter. But for now, as moths are attracted to unwashed clothing it’s important to clean accessories properly before storing away. (http://www.nytimes.com/2010/01/28/garden/28fix.html), . After cleaning, create lidded bins for each family member’s accessories, place lavender pouches between layers and stack bins in a clean, dry place. Paper CLutter: Sort and make stacks for each member of the household. Recycle irrelevant papers, make note of important dates and move the remainder to its appropriate location (bills/notices/personal). There you have it. Your entryway is ready for spring. A beautiful springtime flower bouquet will enliven your entry space and remind you that winter is over! 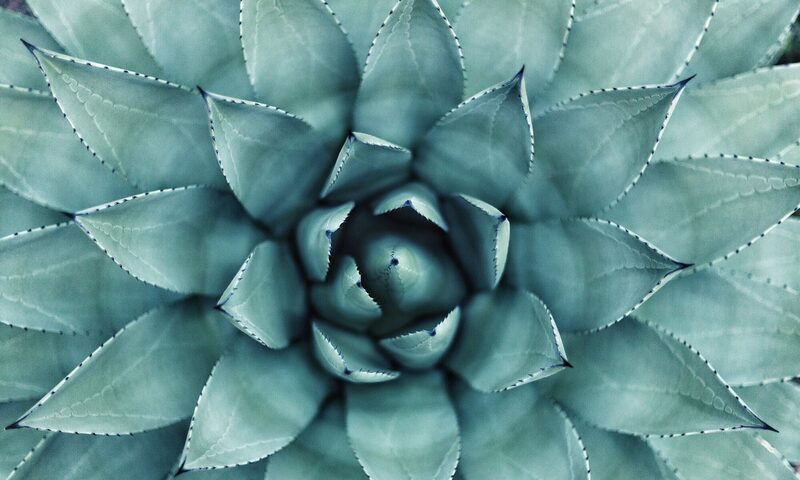 There’s no gift that resonates better than one that’s thoughtfully chosen. The key is to give specifically with the recipient in mind: not out of obligation. This is how regifts happen. 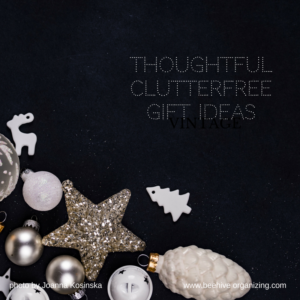 With so much stuff going underused or unappreciated, clutter-free gifting is the way to go. Read on for some ideas. If you have time or the inclination to bake, homemade cookies are always well received. I’m a lousy baker, but I love to make my own Irish Cream Liquor packaged in reusable jars for my friends & neighbours. It’s so easy to make, but the difference in flavour between homemade and store-bought is remarkable. Consisting of good quality whiskey, heavy cream and vanilla extract, it’s quick, easy and relatively inexpensive to make. For the super-picky ones, giving a Netlifx or art gallery membership means recipients can create their own experience. For that hard to shop for teen, concert tickets or passes to a music festival are magical. For parents with young children who seldom have the opportunity to go out, offer to babysit. Trust me, this is an invaluable gift. Nothing? Well not literally. A Beehive Organizing consultation and initial session is affordable and can lead to big changes in the recipient’s life. 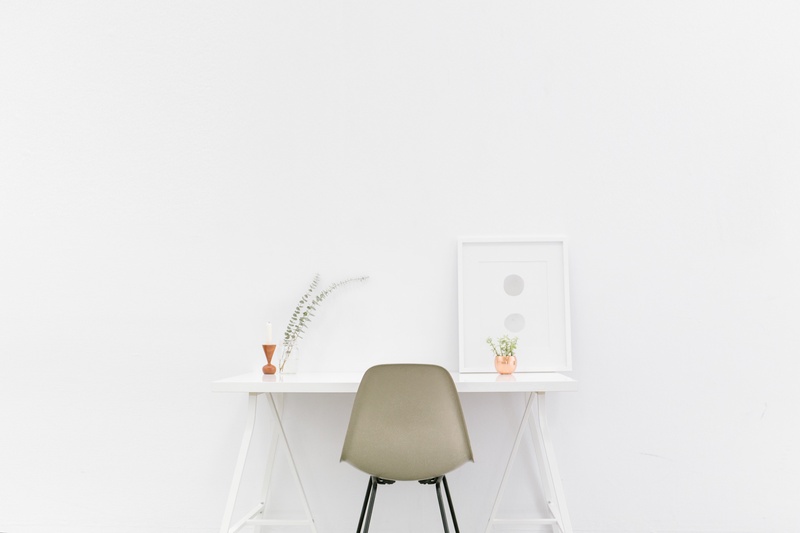 During our initial 3 hour session, I start the de-cluttering process and create an individualized gameplan for moving you toward the clutterfree life you want. 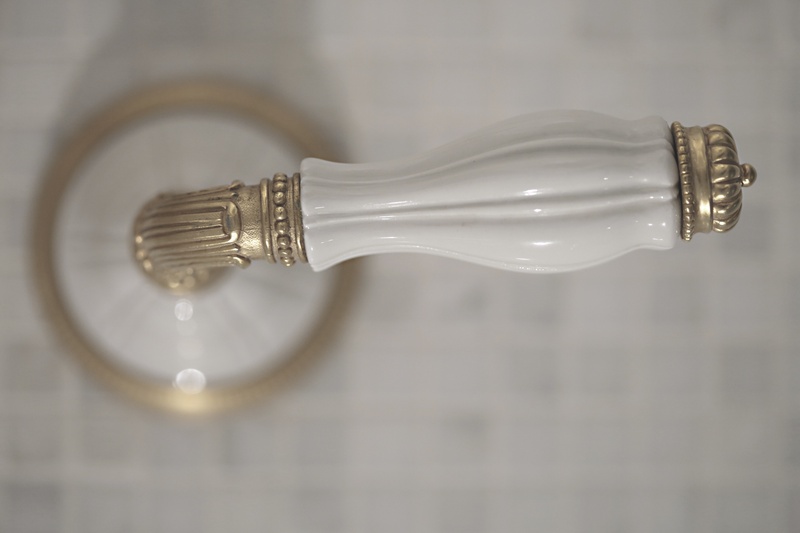 Mornings can be hectic, but if you can manage a few quick tasks at the beginning of your day, the payoff will be a sense of calm and relaxation when you return home after a long workday. Mom’s advice was good then and it’s still valuable today. If you can manage to straighten the sheets and throw the duvet/blanket on, your total time investment will be 2 minutes, but the results will have a big impact. It doesn’t have to look perfect. The point is that when you retreat to your room at bedtime, instead of being confronted with a big mess, you’ll walk into a peaceful oasis. This room sees more action in the morning than any other, so it can quickly get messy. This is not the Marie Kondo type of tidying expecting you to dry off the shampoo bottle after use, but a little goes a long way. Hang up your towel, wipe the counter, put away the toothbrush, hairdryer, etc. This activity literally takes two minutes. 3. Wipe the kitchen counter & wash the breakfast dishes. If you have a dishwasher, things just got much easier.Making dinner becomes more inspiring when the kitchen is clean & inviting and you don’t have to clean up first. This should take five minutes – tops. 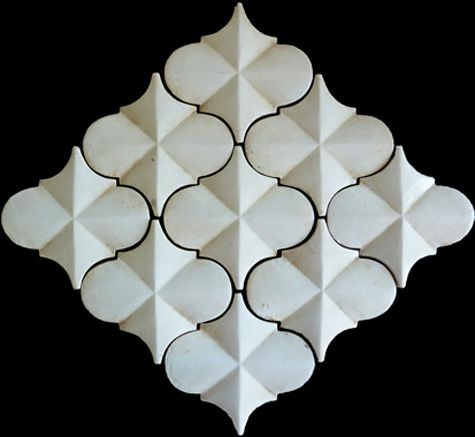 The key to a well-organized space is maintenance. Which option sounds more exhausting? Pick up and put away items as you go, or spend hours cleaning a huge mess? Do the quick, frequent tidy and you’ll thank yourself at the end of the week. As the move out date draws closer, some things are proving harder to part with than others. Household items including gardening equipment, hardware, and storage shelving no longer serve a purpose in a bite-sized condo environment so it’s time for them to find a new home. It’s all the stuff imbued with emotion that’s so much more difficult to relinquish. The process of parting with this stuff has been a real challenge. For one thing, my son has lived in this house since the age of 3: he’s now 16. That’s most of his life! He’s not the sentimental type but for me, saying farewell to mementos that have been touchstones of the13 years we’ve shared in this home is challenging and it’s slowing down the process considerably. I’ve asked a friend to help me filter through all the stuff and she’s been wonderful! Yes, even organizers need help sometimes: we can all benefit from objective support in times of transition. The emotional charge associated with so many items has brought up fond memories – of shared activities and numerous firsts – I’ve taken time out to honour them, but now we’re parting ways. And of course, there are the ‘not so fond’ memories associated with the emotional weight of marital separation and divorce that are also part of this process. These memories? I happily part with the objects associated with them. I decided to get rid of everything in one fell swoop by organizing a content sale and it was well worth the trouble: not so much for the financial gain but for other benefits. For one thing, people came and took away my unwanted stuff, and happily paid me for it! By the way, don’t host your own sale if you still have emotional attachment to cherished items. The person buying them will see only the items and not the years of associated memories and this may bring up all sorts of deep-seated feelings. 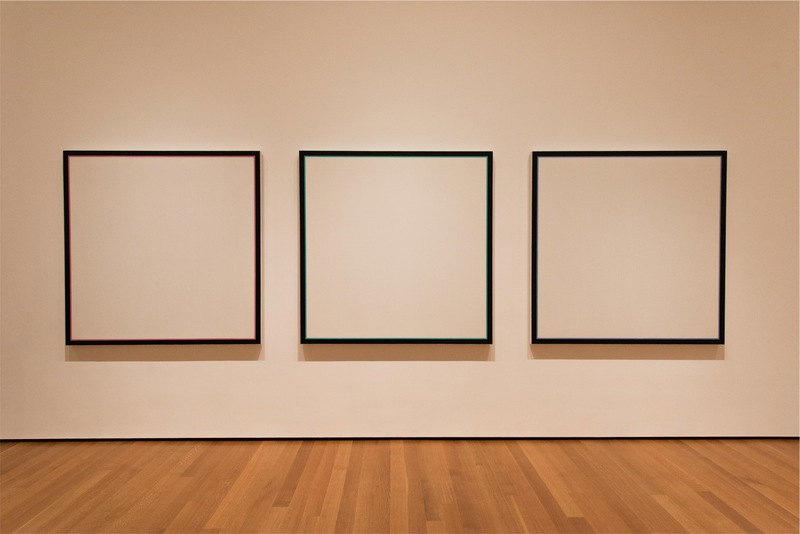 If still attached, leave the work to a professional organizer (like me) whose objectivity moves the process along while respectfully honouring your limits. The sale was a huge success. Lots of stuff remained though and so the purge continued with numerous trips to neighbourhood charity shops and calls out to friends with offers of free stuff until only those things destined to move with us remain. The house sounds different now in its relative emptiness and that feels so strange but so exhilarating all at once. 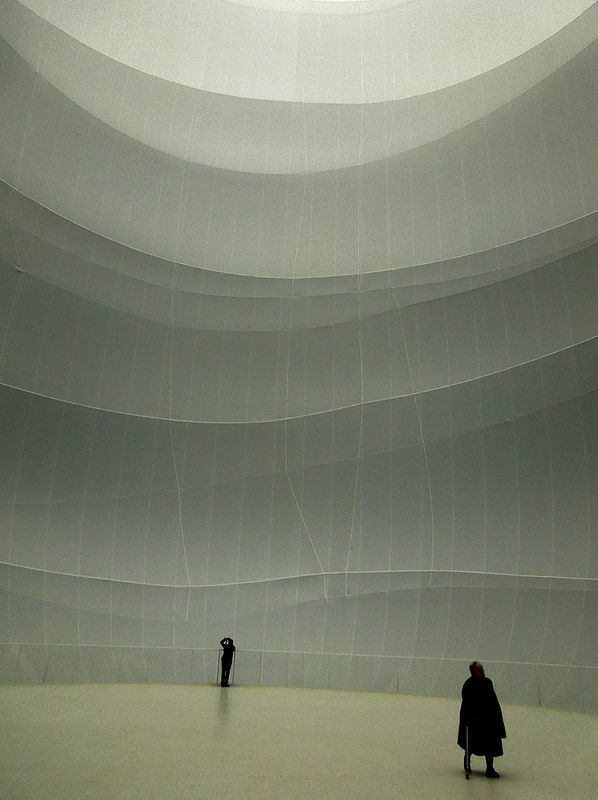 At last – I can see the light at the end of the tunnel! Alright Mr Morris. Those are laudable ideals: I will try to rise to the challenge, but just how do we make this happen in the brief time we have to purge roughly 80% of our belongings and move the remainder into our tiny (by comparison) new home? I have an overwhelming impulse to walk out, close the door behind me and turn my back on every last bit of it. I imagine inviting friends over to pick through and carry off everything of their choosing and to donate the remainder. It would simplify the process by saving so much time and emotional stress. This may still happen if I run out of time, but until push comes to shove, I will do what I’ve done professionally for others. I will edit and edit again the items we will move into our new home. 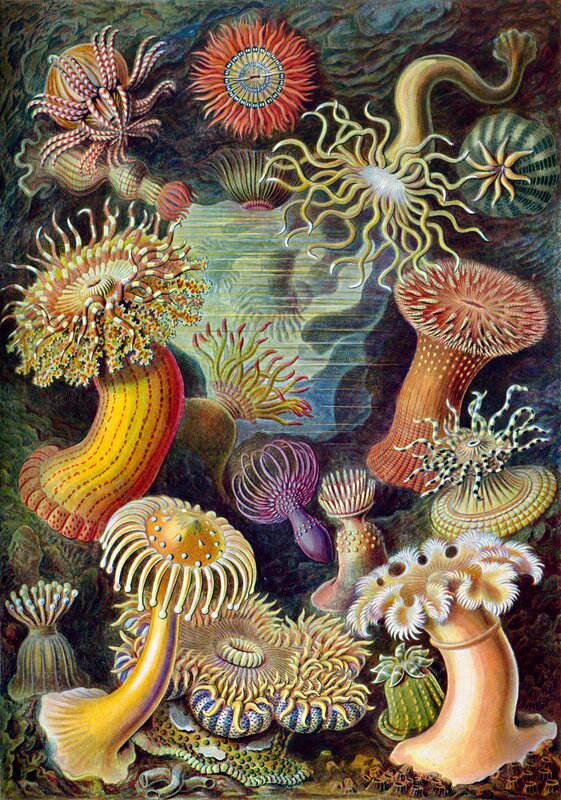 This includes putting all ‘like-with-like’ items together and choosing one or two favourites to keep from a grouping. Everything else will be sold, donated to charities throughout the city, or given away. 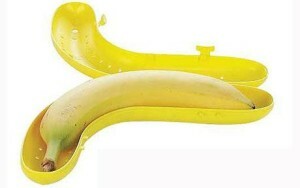 I’ve often thought of myself as selective with the items I’ve brought into our home. Wow, was I ever wrong on that note! The reality is that we’ve accumulated a lot of stuff in13 years, in addition to the stuff that came with us when we moved into this house. Although I’ve periodically made an effort to get rid of worn out, outgrown, out-dated and broken items, I absolutely cannot believe how much stuff remains! 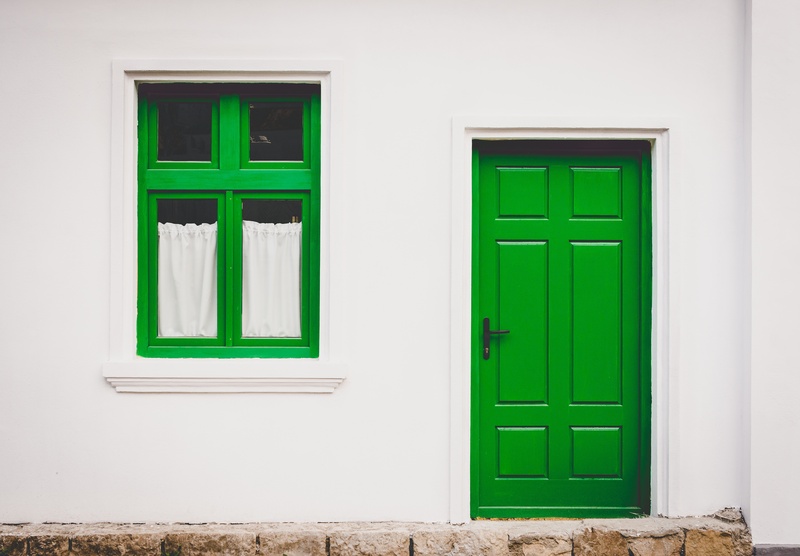 Basically, what’s important to remember – not just for me, but for anyone going through the downsizing process – is that the luxury of space we have grown accustomed to will no longer exist to accommodate massive volumes of stuff in a much smaller home. This means that either we let go of the majority of belongings, or we continue to hold onto them and move them into our new home where they will simply take over, dominating our new space. 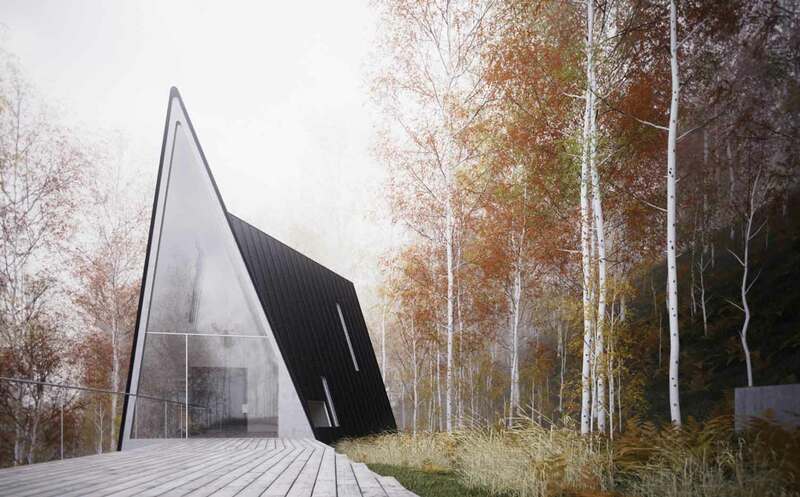 Envisioning our new home as a ripe opportunity for a fresh start is the main impetus for letting go of stuff now. The payoff will be worth it! home sweet home is where the heart is. Within the next month, my son and I will move from the beloved spacious 3-bedroom house we’ve lived in for the past 13 years, into a 700 sq ft condo unit. Crazy, right? Maybe so but like all moves on this scale, there are numerous reasons this is happening. Long story short, it’s long overdue and there’s no turning back. I’m beginning to understand just how much energy the process of downsizing on this scale will take. This is one of the main reasons we’ve waited so long to make the change. Not everyone has the luxury to decide when or how this type of change will occur, so I feel grateful that we’ve made the conscious decision to do this when we have and on our terms. The key to the success of a move on this scale hinges on the process – the ‘how’. It’s like that well-known riddle: How do you eat an elephant? The answer is ‘one bite at a time’. That’s just how we’re approaching this whole big move: one bit(e) at a time. While I have no problem helping others through this stress-inducing transition – in fact I thoroughly enjoy it – I have to admit that as the time draws closer to our move-out date, I am starting to wonder if we’ve made the right decision. If you’d like to follow our journey through this challenging process, I will be posting brief progress reports as time allows. 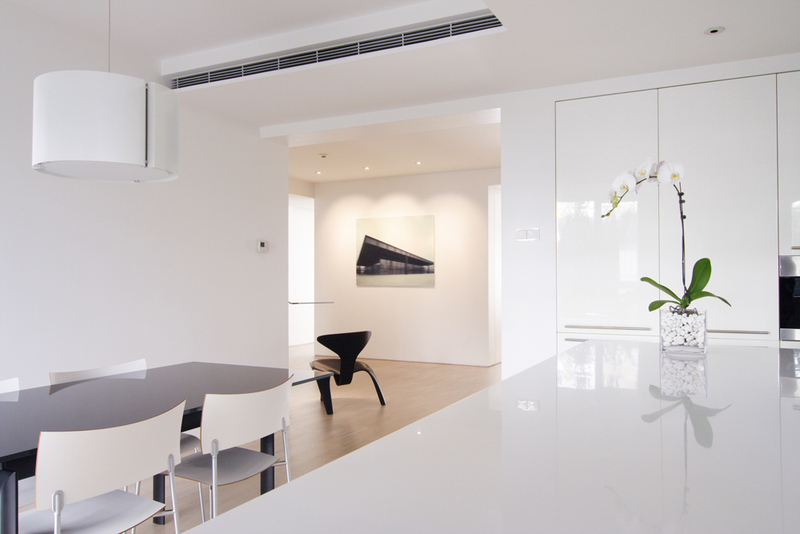 The kitchen is the most actively used space in the house. It becomes a dumping ground for all sorts of miscellaneous items including mail and other papers, kids’ schoolwork, outdated electronics, crafting supplies and numerous other items completely unrelated to food preparation and consumption. 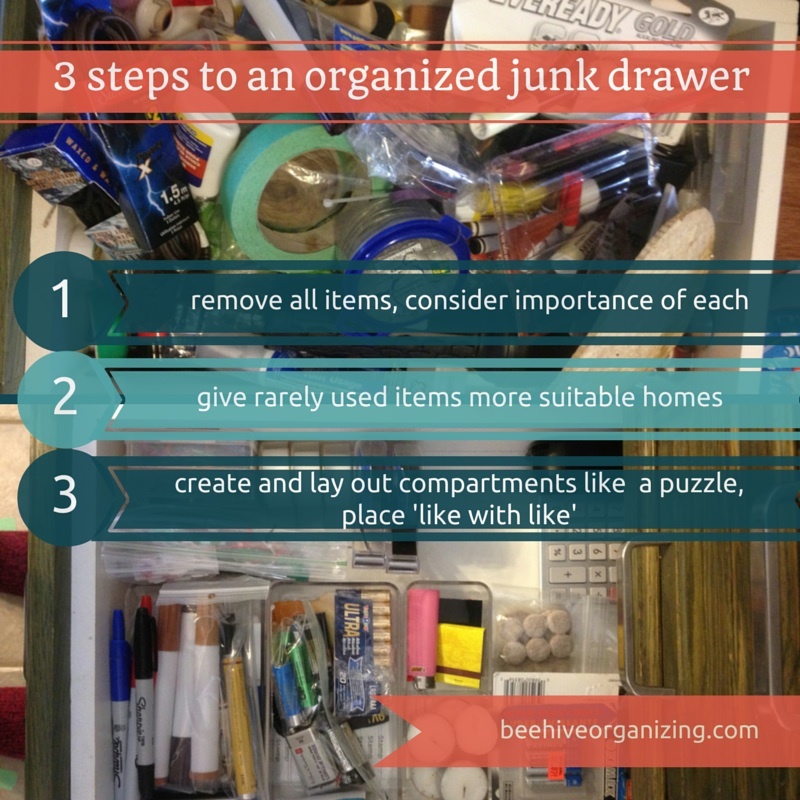 That’s why this busy hub is also the most clutter prone area in the home. Getting rid of the overflow can be surprisingly quick and simple. Out-of-date packaged, bulk food, spices, spoiled refrigerated and freezer-burned food: check the expiration date on packaged items. Discard old boxes of half-eaten cereal, stale crackers, ¼ cup remainders of stale bulk items, rancid bottles of oil, sauce, salad dressing and all that stuff at the back of the fridge. Toss spices that have lost their essence. There’s no sense in holding onto expired food you won’t consume. Take inventory of what remains. Usually it’s your favourites versus foods that are repeatedly under-consumed. Make a note not to buy multiple packages of foods you rarely consume in the future. Rotate packaged items. These items have an expiration date. For a number of reasons, many of us hold onto them much longer than they are safe to consume: it was expensive, we feel guilty about not including them in our daily health regimen, they may come in handy when that old injury flares up. Whatever your reason for not tossing them out yet, the fact is you didn’t consume them and likely never will. Dispose of pharmaceutical and over-the-counter medication responsibly. Do not flush, do not throw in the trash. Visit Heath Steward Canada for more information on how to do this in your area. Mismatched plastic storage containers, too many/oddly sized/too-small plastic and paper bags, take-out meal extras: plastic utensils, chopsticks, old single-serve condiments, take-out menus. Trust me. None of these items will be missed, but the space saving potential is huge. Plastic storage containers are the most difficult to keep in check. They multiply like dandelions, and are the kitchen equivalent of mismatched socks. Do you want to spend 2 hours matching lids with containers? Nobody does. Know that takeout menus change frequently and up-to-date information can quickly be found online. If you’re feeling guilty about tossing out items like little sticky packets of ketchup, or plastic bags, make a vow not to collect them in the future. Bring your own bags when shopping and ask restaurant staff not to include extras with your takeout order. 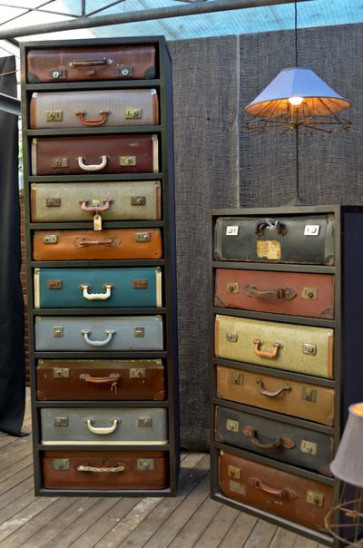 If it’s worn out, damaged, missing pieces or unused, stop keeping it around ‘just in case’. 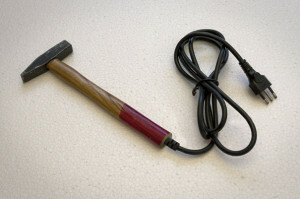 It’s highly unlikely you will ever use these items. If you hold onto them, the chances are slim to none that you will ever enjoy eating or drinking from broken, chipped, dingy kitchenware- even when camping (if that’s your rationale). Stacks of flyers, bills, small scraps of paper bearing doodles, phone numbers, old notes plus all those curled up, yellowing pieces of paper stuck to the front of the fridge are out-dated and need to be tossed out. You’ve stopped noticing them but the visual clutter remains and it’s undermining your ability to relax and enjoy your newly decluttered kitchen. Record any vital information on one sheet and keep it all in one place such as secured to the inside of a cupboard for quick reference. 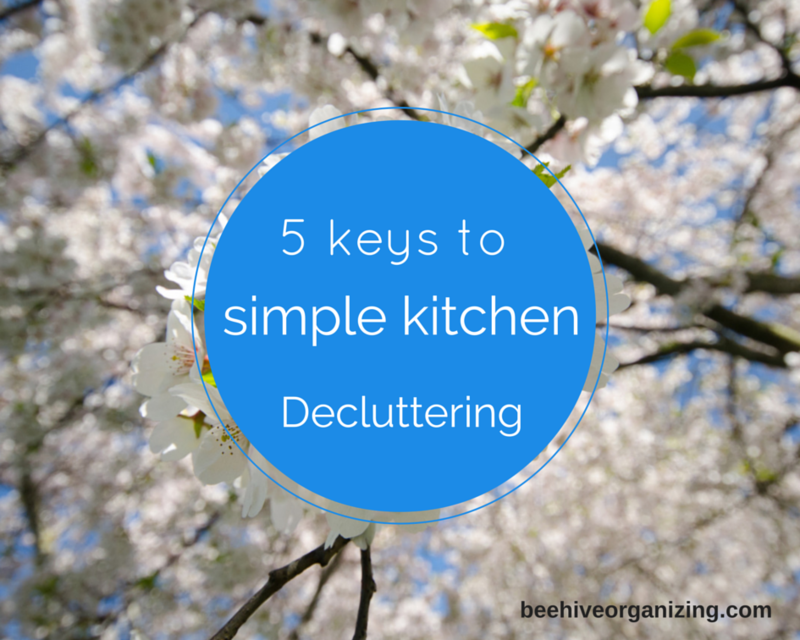 Enjoy your newly decluttered kitchen. 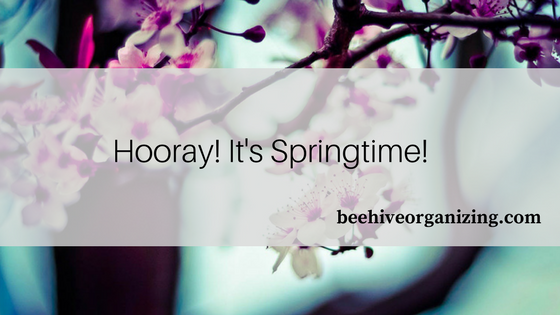 If you’d rather leave the decluttering to someone else, consider hiring a professional organizer.Beehive Organizing is available in the Greater Toronto Area (GTA) to help you sort through the clutter. Spring is by far the best time of year to unburden yourself of out-dated, worn-out, or even perfectly good household items that no longer serve a purpose in your life. 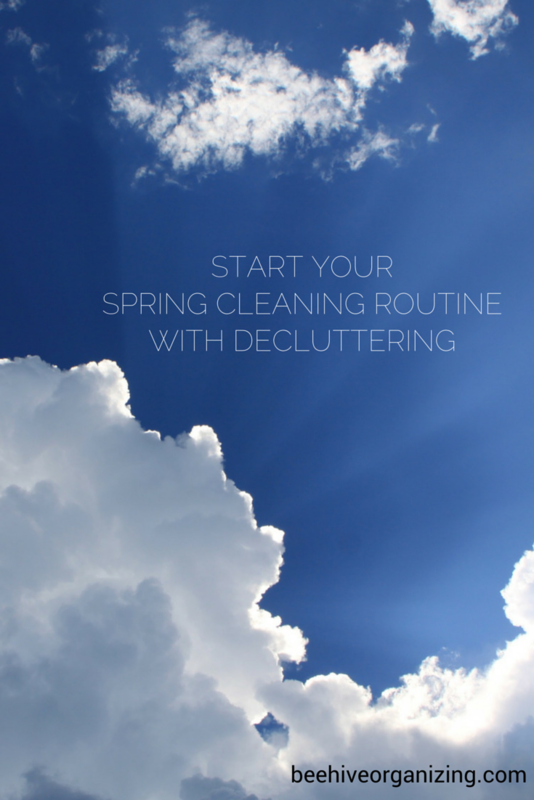 Why should decluttering be the first step you consider when starting your spring cleaning routine? It only makes sense to get rid of all the stuff you no longer use before cleaning and reorganizing your space. Not only will you create more room for what remains, but you won’t be doing the extra work of carrying, moving and cleaning stuff that will not have a function in your freshly cleaned home. Soon, I will follow up with tips for reducing clutter in the most clutter-prone areas of the home. Let’s face it. Moving can be chaotic even when well-planned. There’s a period of time once you’ve moved into your new home when items you use daily are still packed away and out of reach. The good news is that the frustration associated with this stressful life event can be easily alleviated. Prepare a kit of these everyday essentials that help life run smoothly and your next move should be a lot more manageable. 1. 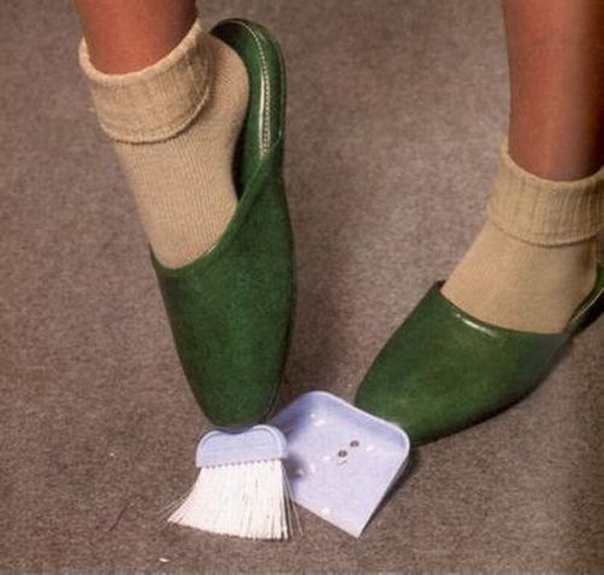 Slipper Brush: cleaning up during your move will be a breeze with these. 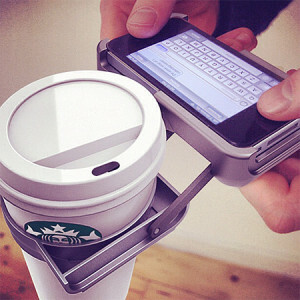 2. iPhone cup holder: You’ll be busy attending to last minute details. Text on-the-move without spilling your coffee. 3. 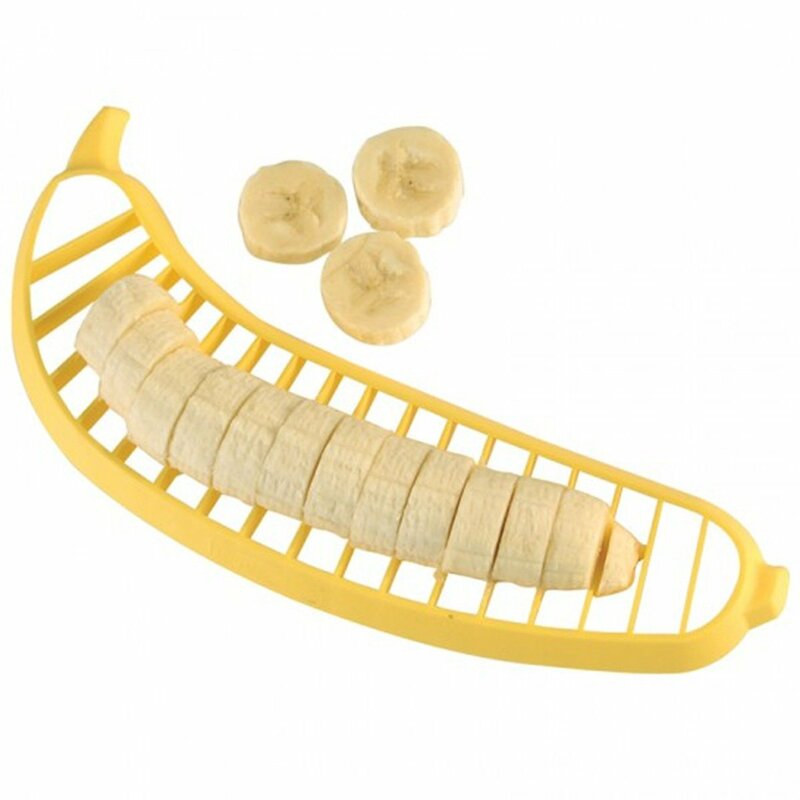 Banana Holder, Guard and Slicer: when life gets busy, bananas make a quick on-the-go snack. 5. 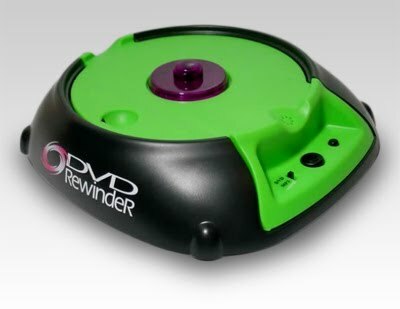 DVD rewinder: you won’t have time to rewind dvds when you’re busy moving. This little gem makes it so easy. If you don’t believe these items are must-haves that will help streamline your move, you’re absolutely right. April Fool’s! But moving is no joke. In fact it is one life’s most stressful events. 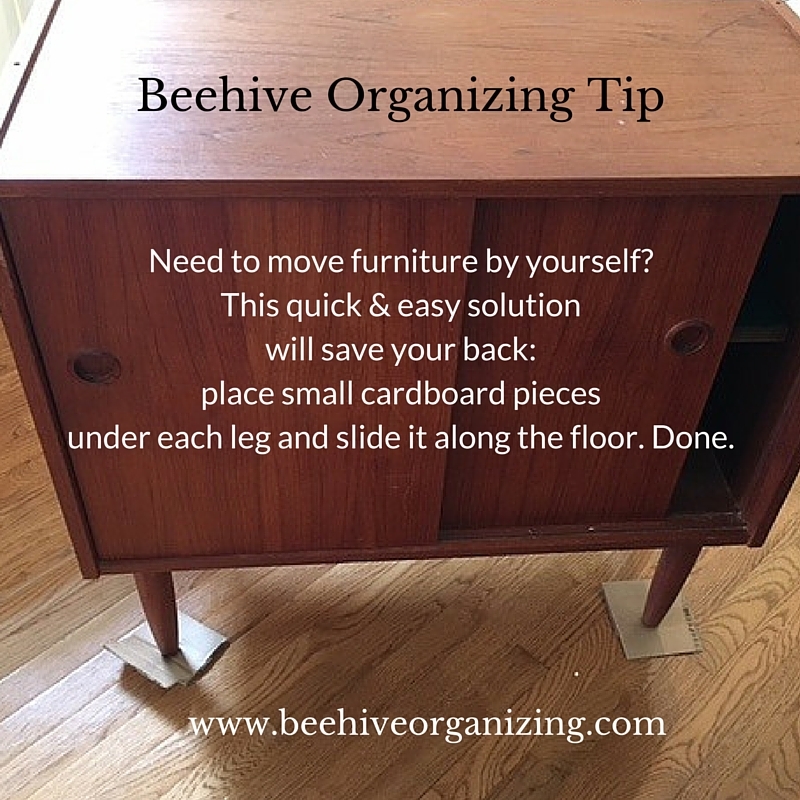 If you require help purging unnecessary items and prioritizing your all-important move, Beehive Organizing can help simplify the process. Recently, I had the exhilarating opportunity to volunteer my time to a worthwhile cause. I joined about a dozen other professional organizers from the Toronto chapter of Professional Organizers in Canada (POC) in a full day session of unpacking, sorting, and hanging new and gently used donated clothing items at New Circles’ spacious new facility in North York. New Circles is a non-profit agency that has been in operation since 2005. The organization started small with only 2 volunteers, but quickly expanded to fill the service needs of more and more newcomer families in the Flemingdon Park area facing complex social and economic challenges. Currently, the agency serves between 100-120 people each day or 150 families per week. That’s an overall population of 60,000 people. 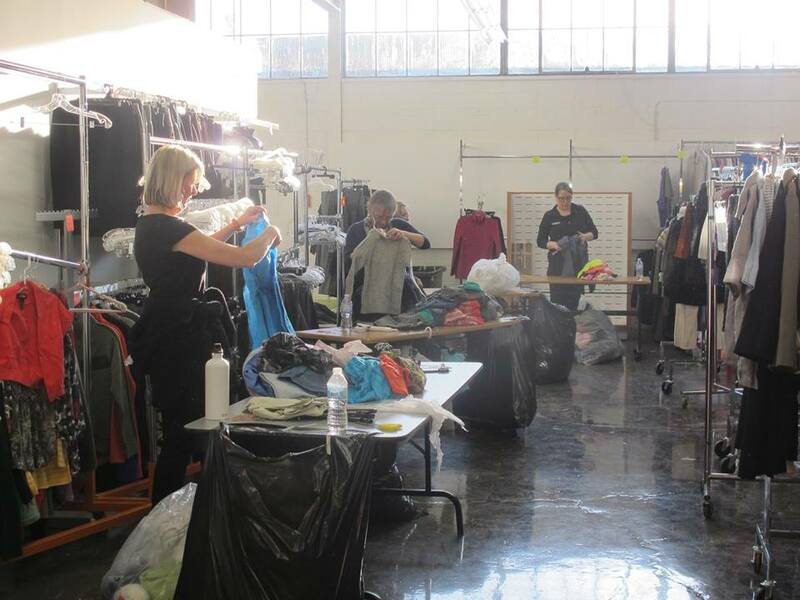 You can imagine that with clients in such great numbers relying on their services, a large space is required to store and process donated clothing and accessories. The agency’s bright, freshly renovated warehouse space located at 161 Bartley Drive fits the bill beautifully and is ready to open it’s doors to both clients relying on services and volunteers who support them. 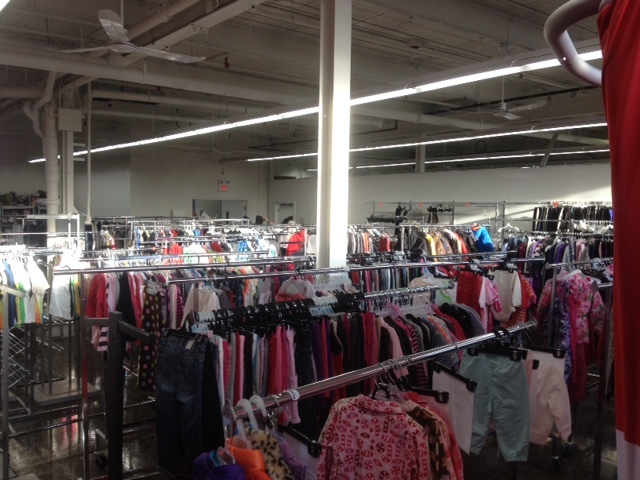 Each day, between 10-12 racks of clothing are distributed, so donations are replenished often. Remember that little black dress you bought last year but just never ended up wearing? Or how about those snowpants your son grew out of after a month? Items like these would benefit a client of New Circles.